Garden Bulbs for the UK Garden. Bulbs have been a favourite in the garden for centuries. With more types available to the home gardener than ever before we are spoilt for choice in the UK. Many bulbs offered for sale are actually imported, however the UK does have a network of specialist growers that offer quality products at a reasonable price. Available for sale from many online nurseries, with the more common bulbs you can even get free delivery if you but in bulk. Many bulbs offered online are easy care, as long as the drainage is good. 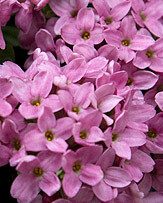 Plant in clumps of 8 - 12 and you can have a wonderful display in spring. Spend a little more and plant en masse and you can fill your garden with colour, especially in spring. So why not explore the world of garden bulbs on nurseriesonline.co.uk. We look at the best growers, some providing cheap bulk bulbs, other offering rare and unusual bulbs rarely seen offered by larger suppliers. The time for planting bulbs will depend on the species, with each species we provide detailed note on how and when to plant them. Bulbs are often put forward as 'easy to grow' and in some cases this is true, however others require more care and attention than others. With so many ways to plant bulbs the colourful flowers are often seen as the harbinger of spring. 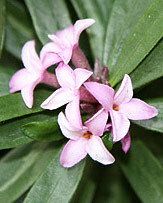 In the garden border, in pots, naturalised into lawns and even forced and grown indoors. A little confusion comes into what we call bulbs. Some of what we commonly refer to as bulbs, are not actually bulbs as such, they are divided as follows. These are the ones that when cut will show layers. 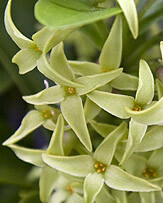 They will put out offsets and will flower for a number of years. These are characterised by the Dahlia. 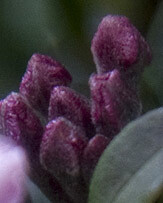 A little like sweet potatoes, with eyes (growing points) in the tuber itself and around the neck of the tuber. Perhaps Iris and Canna are the best example. All Canna and most, but not all Iris have horizontal stems near or partly above the surface. Although this does differ, generally you are looking at planting garden bulbs when they are dormant, this is also the time when you will find them for sale from online bulb nurseries. Some of the better specialist nurseries can often offer unusual and harde to find bulbs, with growing notes that are more detailed for UK condition. For successful planting of flower bulbs it is best to plan ahead, Spring flowering Bulbs are best purchased and planted in the Autumn, while many summer flowering bulbs can be planted in the garden during early spring. 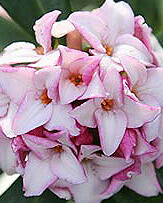 Many flowering bulbs can be grown in pots or containers as well as garden beds, and flowering bulbs such as Hippeastrums can be grown indoors. We provide a list of Summer, Autumn, Winter and Spring flowering bulbs with links to online bulb nurseries.